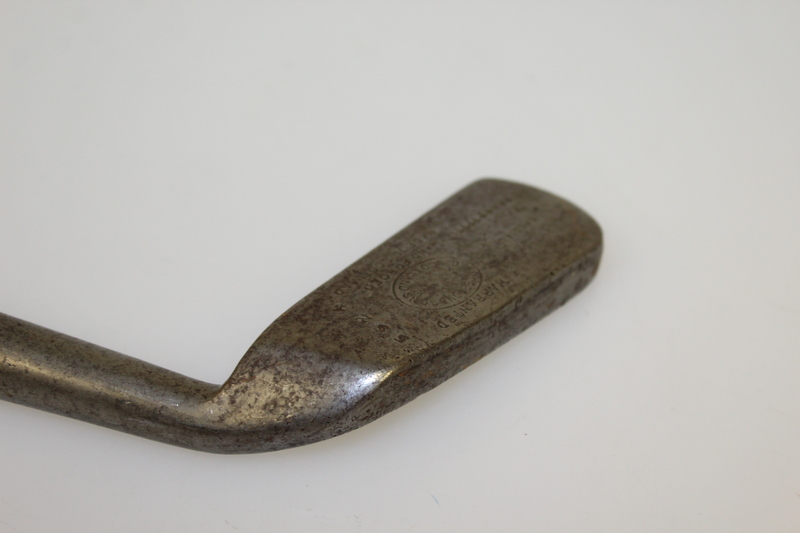 This lot contains a smooth face putter off-set. 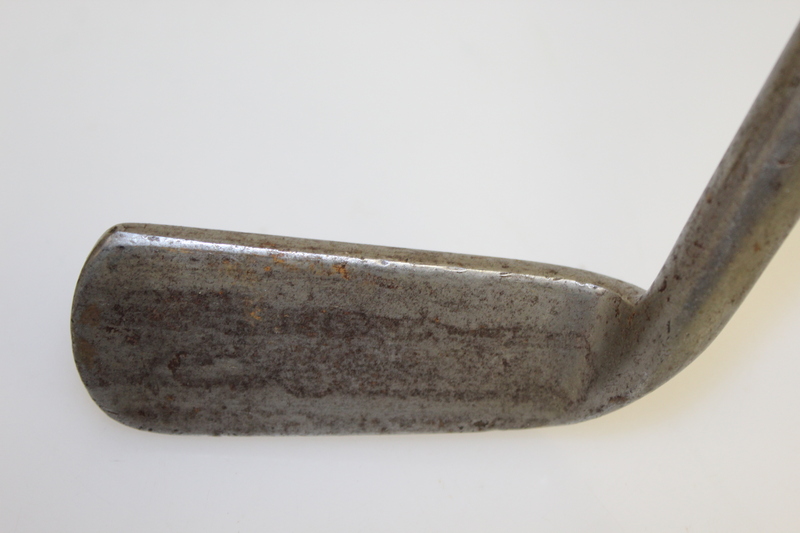 putter measuring 35" to the heel. 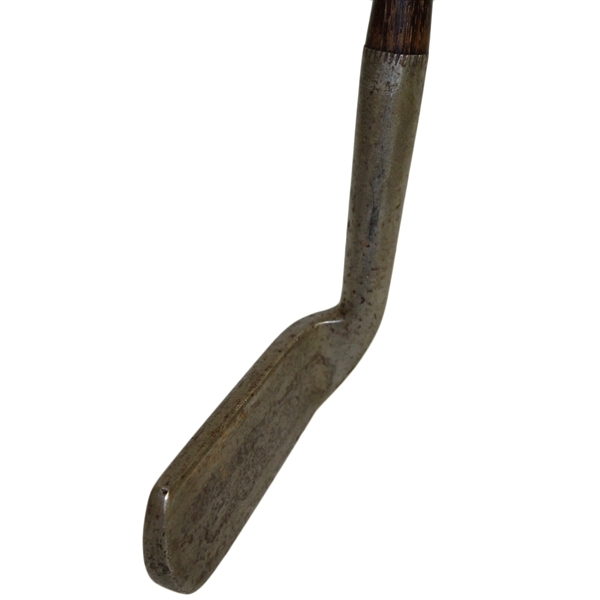 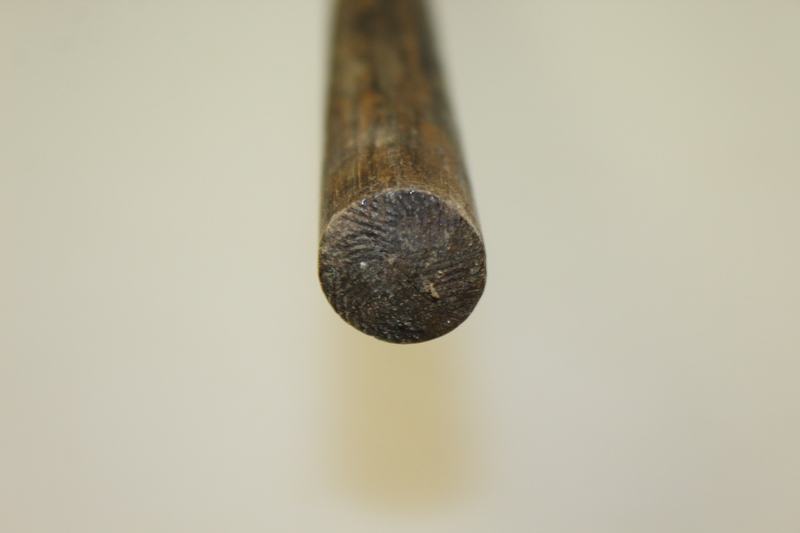 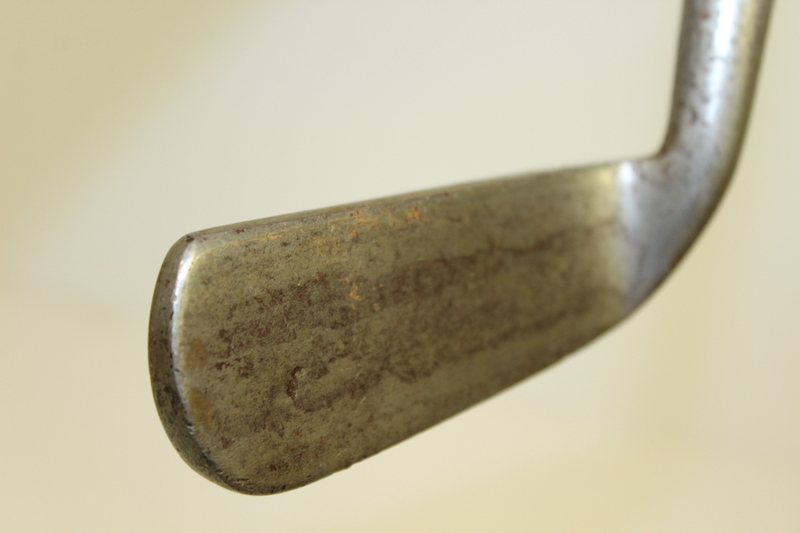 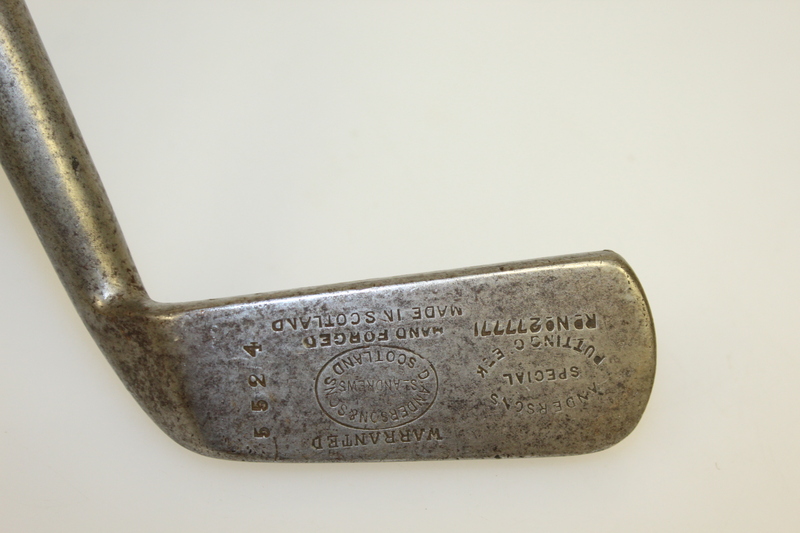 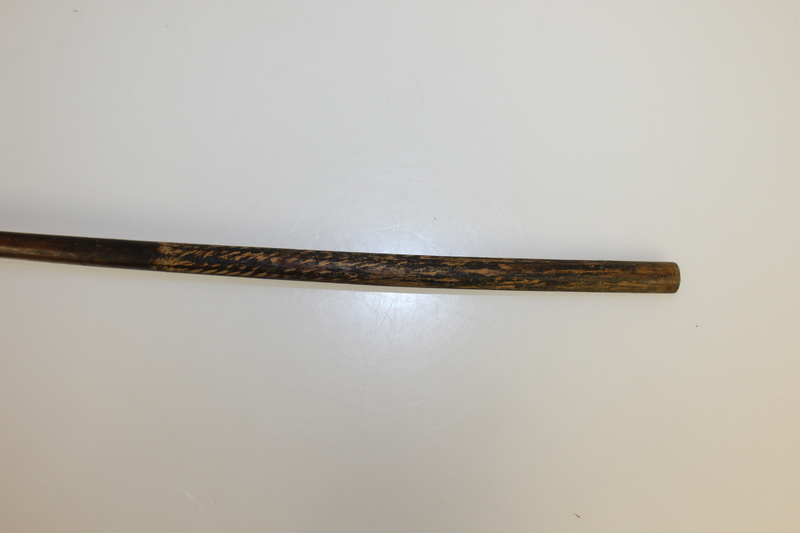 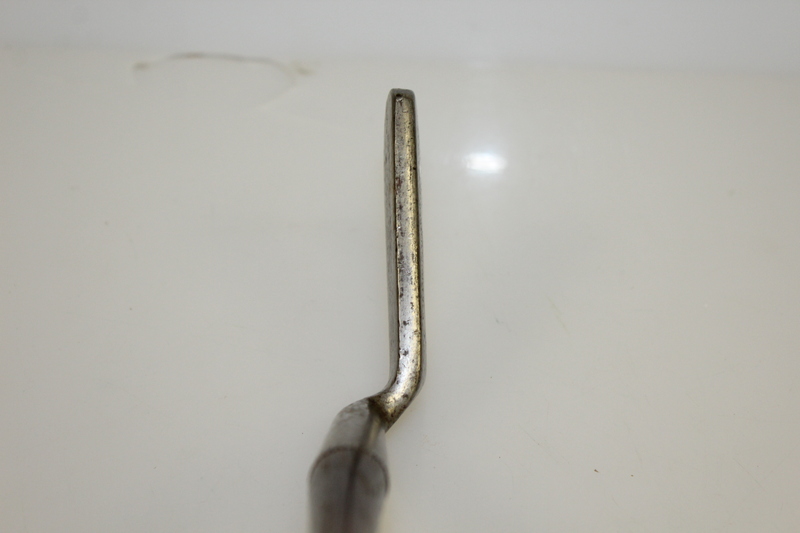 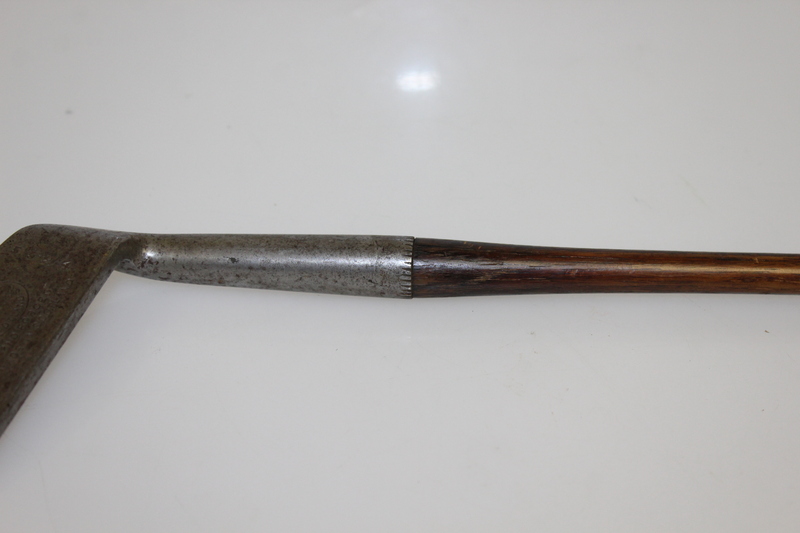 The club contains many stamps on the back of the face including, but not limited to, 'Warranted/Hand Forged/Made in Scotland', 'Anderson & Sons/St. 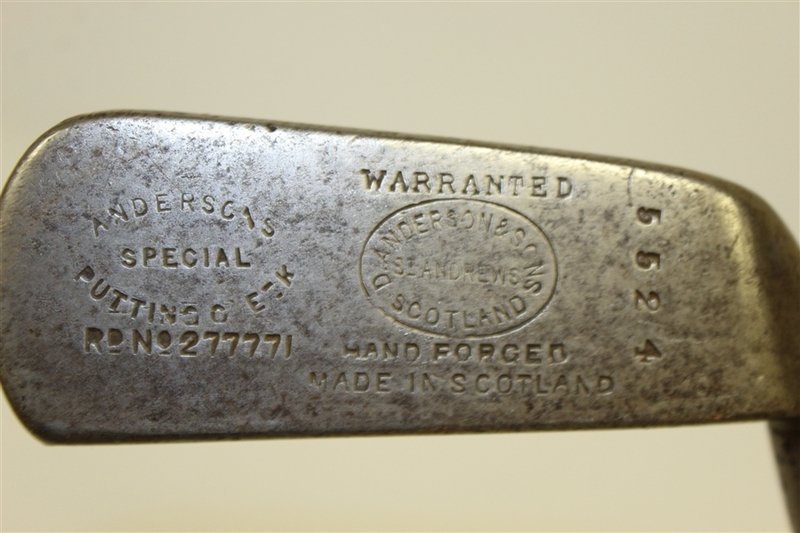 Andrews/Scotland', and what looks serial and patent numbers.